20 Tinker Bell Sick / Tink Lives! 12 Tag 1: You're...It!/Trio: ...Around. Happy Twenty-First birthday/Tag 2: Come On, Dede, It's Your Burn! 02 Hymn And Psalm: "A Simple Song"
10 Trope: "I Don't Know"
15 Trope: "Half Of The People"
18 VIII. Epistle: "The Word Of The Lord"
19 IX. Gospel-Sermon: "God Said"
05 Trope: "I Believe In God"
09 Trope: "I Go On"
11 "Agnus Dei, qui tollis peccata mundi"
12 "Dona nobis, nobis pacem, pacem dona"
13 "Pacem! Pacem! Pa... cem!" 15 Allegro furioso - "Why Are You Waiting?" 17 "Oh I Suddenly Feel Ev’ry Step I’ve Ever Taken"
19 "Sing God A Secret Song"
02 "The Pennycandystore Beyond The El"
03 "A Julia De Burgos"
04 "To What You Said ..."
05 "I, Too, Sing America" / "Okay 'Negroes' "
06 "To My Dear And Loving Husband"
08 "If You Can't Eat You Got To"
09 "Music I Heard With You"
11 "What Lips My Lips Have Kissed ..."
27 DVD 2 : Pangloss is hanged. 35 DVD 2 : What you might ask, can follow that? 40 DVD 2 : Pangloss: "Our travellers..."
65 DVD 2 : For many days after Candide did not speak. 70 DVD 2 : Afterword. 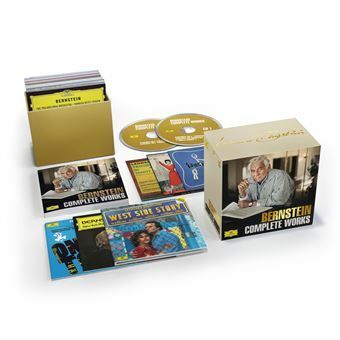 Bernstein "May I bother you"
101 DVD 3 : DGG Showreel "DVD on DGG"